Matthew S. Kalmar, DPM, ABPM, is a highly skilled podiatrist who provides exceptional and compassionate care to his patients at Kalmar Family Podiatry in Huntington, New York. He’s board-certified by the American Board of Podiatric Medicine and is board-qualified by the American Board of Foot and Ankle Surgery. Dr. Kalmar was born and raised in Huntington, and attended Harborfields High School in Greenlawn, New York, before moving to Florida to earn his bachelor’s in Health Sciences from the University of Florida in Gainesville. 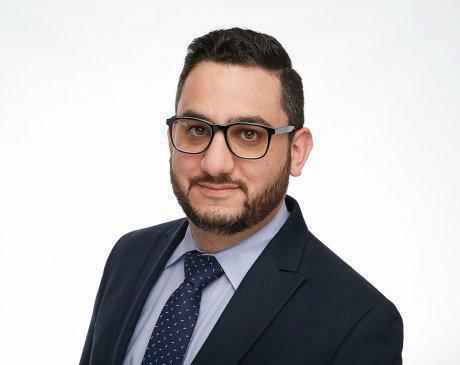 After graduating, he completed an externship at Sheba Medical Center in Tel Hashomer, Israel, before returning to New York to earn his Doctor of Podiatric Medicine from the New York College of Podiatric Medicine in New York City. He stayed in New York to complete his residency at Northport VA Medical Center in Long Island, Southside Hospital in Bayshore, and the North Shore Surgi-Center in Smithtown. Dr. Kalmar began practicing at Kalmar Family Podiatry immediately after he finished his residency. He’s currently a member of the New York State Podiatric Medical Association. Dr. Kalmar is passionate about keeping his patients not only healthy, but also informed about their conditions. He believes that an educated patient is a compliant patient, and a compliant patient is a healthy patient.